April 3rd, 2005: I’m writing this from sunny southern Alberta, just south of Airdrie, though we’ll be home by the time you read it. It has been sunny and warm all day, almost shirtsleeve weather. Not that it matters; aside from a walk a hundred yards down the lane to get the paper we have only been outside long enough to get from the car to the stores. We went to Alberta on Wednesday and Thursday. Weather was great, getting up into the double digits each day and lots of sun. By the time we got to Rosetown, there was no snow in the fields, just in places where it had drifted, like the ditches. By Beiseker, there was no snow visible anywhere. In some places there would be water in the potholes, but at Beiseker and right down to Calgary, there was very little sign of any. They are starting out the year very dry. 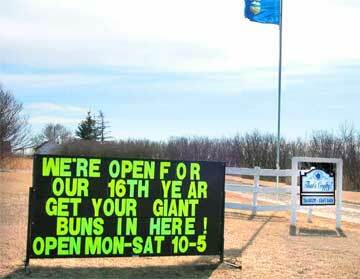 Of course, we had to stop at That’s Crafty, just west of Drumheller, to say “Hi!” to June and sample her cinnamon buns. We played it smart and shared one this time, and Doreen was able to do some gift shopping. June always seems to have some stuff there that you just can’t get anywhere else. Bernard Dease called me the other day; said he had been talking to someone at CBC and was told the tower should be in operation before long. The lights apparently have been installed and it’s just a matter of getting the power to them. The tower at Yorkton is in full operation, and he says it is performing well. Bernard’s reception hasn’t been too bad lately, but he is in a direct line from the temporary broadcaster; we are down in a bowl and the reception is poor. Maybe once the new tower is up and running we can start watching channel 4 again. 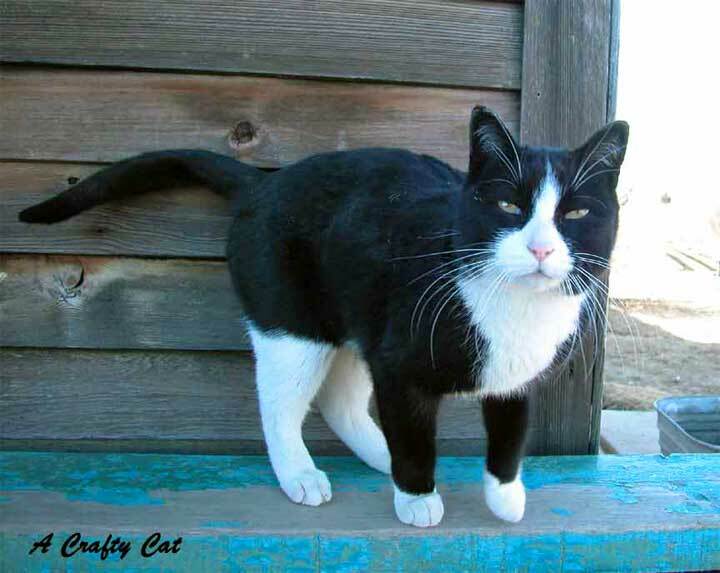 Maurice and Connie have one of those heating systems where the furnace is out in the yard, and warm water is piped underground to the house. Well, the water line froze up (don’t ask!) and Maurice thought if he ran a smaller hose inside the water line he could force some hot water in to thaw the pipe. It worked, too - only when he went to pull the hose out, a connection slipped and the pipe stayed inside the water line. How to get it out? He brought his problem to coffee row and got lots of suggestions, including putting a plug made of bread in the line then attaching an air hose to blow out the pipe. I thought that was a good one. Another suggestion was that he weld an easy-out to the end of a metal rod, feed it into the line and try to engage the easy-out in the pipe, which could then be pulled out. Despite all the brilliant ideas, every time Maurice came to coffee he brought up his problem again without having tried any of the suggestions received before. Now he is not permitted to mention it at coffee - if he does, everyone yells at him. He is still looking for suggestions, so if you have a good one, give him a call. Just before we left home, Doreen spotted a rabbit. It was still white, but looking pretty dirty. Out here where there is no snow, their one huge rabbit is a very dirty light brown, light enough that it stands out against the grass. We could tell it was spring on our way out here by the gophers. Not by any live ones, which we didn’t see, but by the bits and pieces scattered over the highways. Lots of geese, robins and sparrows, and some of the fields are greening up remarkably. On Saturday, Blaine and I drove down to Balzac, where their post office is. 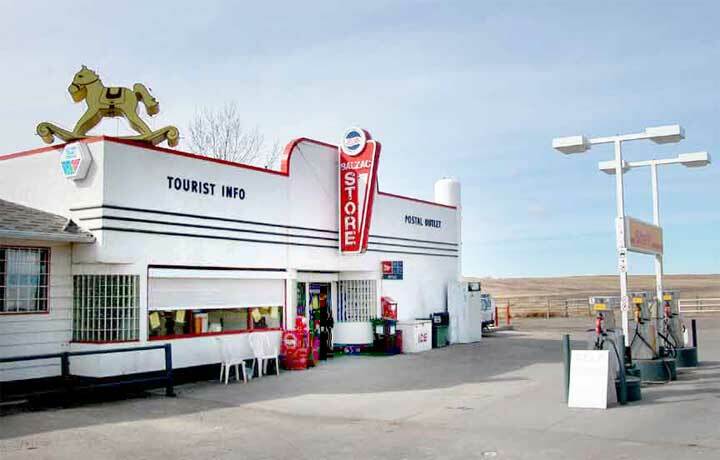 It is in an old service station and lunch counter that has been preserved. The inside looks original too - quite an attractive place! It, two churches, a hall, a seed-cleaning plant, a lumber yard and a major greenhouse are about all there is in Balzac. Hardly a house, though there is a development of three hundred modular homes planned for the near future. There was a saddle and tack sale going on in the hall, so we browsed it, marvelling at what it costs to equip a horse properly these days. 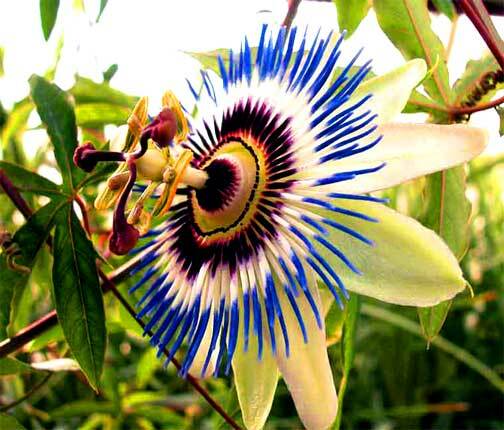 Then we went to the greenhouse; there wasn’t a lot of colour yet, but I got some pictures of a flower that Doreen calls a passionflower, a very strange-looking thing.